New Zealanders, eh, first they stole the America's Cup back - then they threw away the luxury bags worth thousands of dollars. Team New Zealand's victory today was a win, apparently, for the little guys over the billionaires. Go us. And, of course, to the victors go the spoils. At the post-race celebrations, there were the obligatory bottles of champagne to be sprayed liberally about the place and quaffed from the Auld Mug. There were also Louis Vuitton travel bags handed out to the New Zealand sailors. The luxury goods maker has a long history of sponsoring the regatta, with the challenger series carrying its name. The sailors held them aloft, as requested, in all their glory and then unceremoniously hurled them into the crowd. Yes, hurled them into the crowd. It's like throwing out gold bars - just softer. Down below the fans practically stampeded to get their hands on the bags, which appear to retail for more than $US2000 each. It wasn't a pretty sight but the internet has embraced what it believes is a typically Kiwi approach in the face of such fine trappings. You could, of course, also look at it differently and suggest it backs up those claims that the cup is a preserve of the rich. Further evidence suggests, however, that the team, while they can walk on water, have their feet firmly grounded back on land - with a quick game of backyard cricket part of the later celebrations. Opinion - Team NZ's innovation and Peter Burling's ineffable calm reflect everything we imagine we are as a nation, writes The Spinoff's Duncan Greive. All hail the helmsman: Who is Peter Burling? The 26-year-old has become the youngest person to win the race for the America's Cup. 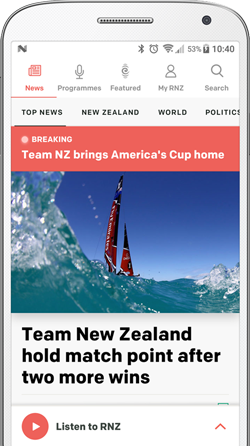 America's Cup claimed - how did we get here? 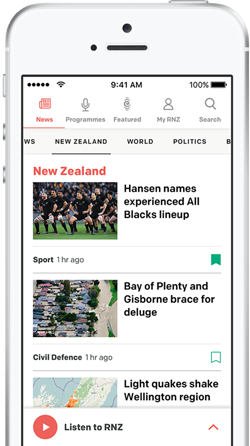 Capsize, recovery and triumph - look back at the turning points along Team NZ's path to winning the America's Cup for the third time.